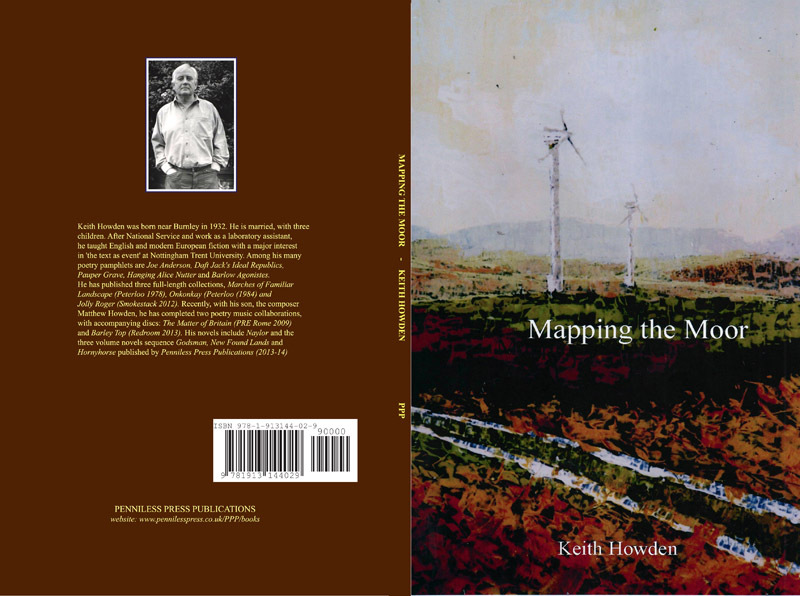 Keith Howden was born near Burnley in 1932. He is married, with three children. After National Service and work as a laboratory assistant, he taught English and modern European fiction with a major interest in 'the text as event' at Nottingham Trent University. Among his many poetry pamphlets are Joe Anderson, Daft Jack's Ideal Republics, Pauper Grave, Hanging Alice Nutter and Barlow Agonistes. He has published three full-length collections, Marches of Familiar Landscape (Peterloo 1978), Onkonkay (Peterloo (1984) and Jolly Roger (Smokestack 2012). Recently, with his son, the composer Matthew Howden, he has completed two poetry music collaborations, with accompanying discs: The Matter of Britain (PRE Rome 2009) and Barley Top (Redroom 2013).